How to add URL to folders? ProProfs offers you the freedom to add URL to your knowledge base folders. Imagine when you want to share multiple knowledge base articles that are in the same folder. 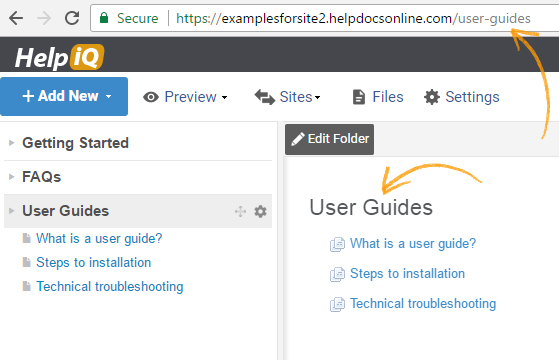 You will have to share a link to each page in that folder but with this simple feature, you can just share the link of the folder instead of sending out several links. Step 1: Login to your ProProfs Knowledgebase and click 'Settings'. 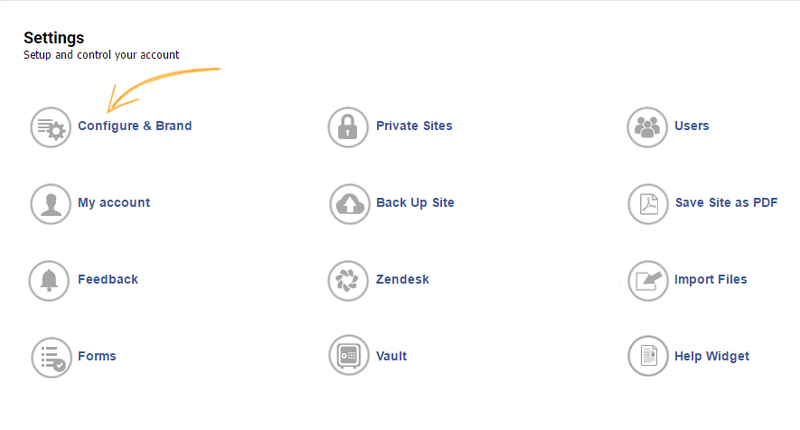 Then, hit 'Configure & Brand'. Step 2: Select the site you want this feature on. Step 3: Click on 'Table of Contents'. Scroll down and enable 'Link folder to page' option. Then, hit 'Save'. Step 4. Now, go to your chosen site and select any folder. You will see all the pages of the selected folder listed. Refer to the image below. 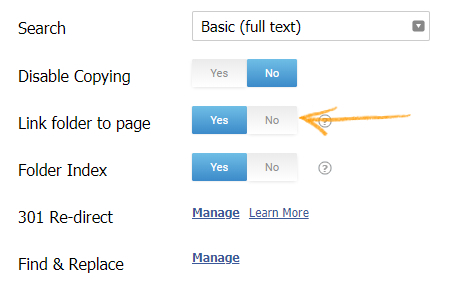 Now, instead of copying every page link, you can simply share the URL to the entire folder.